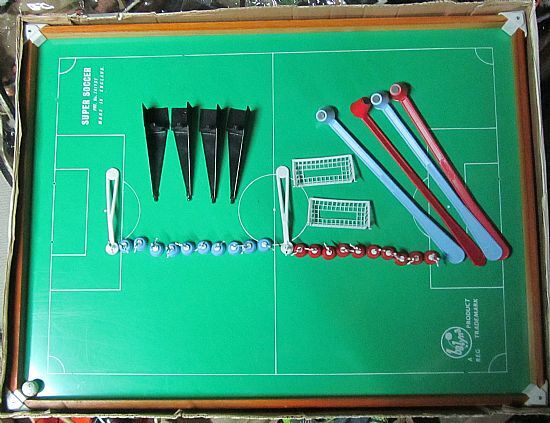 Yet another version of the Balyna football game, this time with magentic players, paddles and a raised pitch. 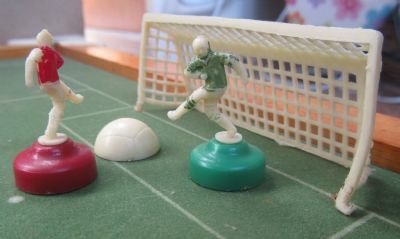 There were several different magnetic versions of the game with different sized players. I have a number of different sets for sale and a good selection of spares if you are missing pieces. The top of the range set - superb. Large pitch and full eleven a side teams. 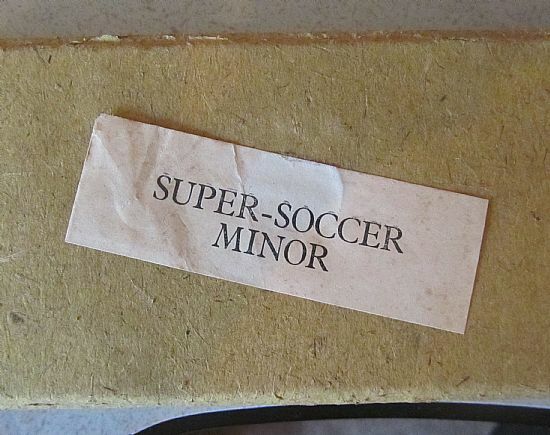 Complete with inner packaging. This is a later set which also contains the impossible to find inner packaging insert to hold all the pieces. 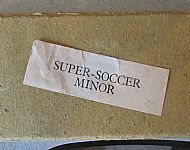 The very nicely presented inner packing for the Popular Edition of Super Soccer. 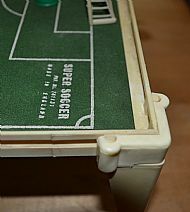 Quite complex, pitch barriers, corner strengtheners and legs make a nice playing environment. 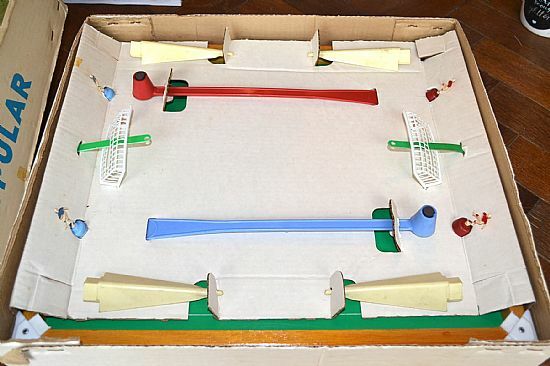 A four player game using magnetic paddles to move the players. 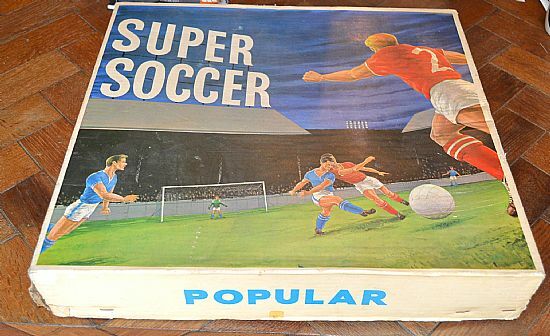 Produced for donkey's years by Toogood & Jones under the name Balyna and often branded as 'Super Soccer'. 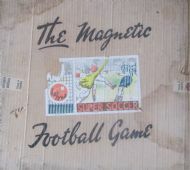 A two a side version of the magnetic game with the very early player pieces. 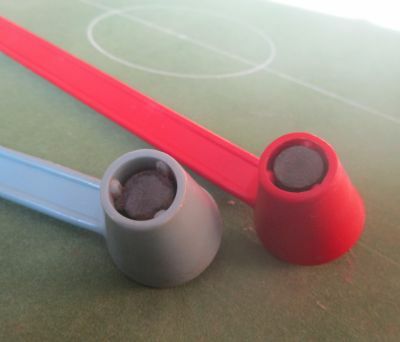 Comes with smaller pitch with legs. 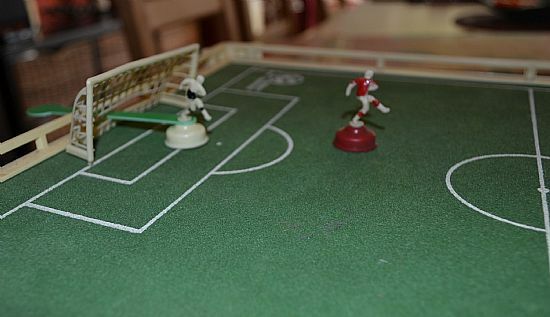 This version is the six a side game intended for four players (two per side). 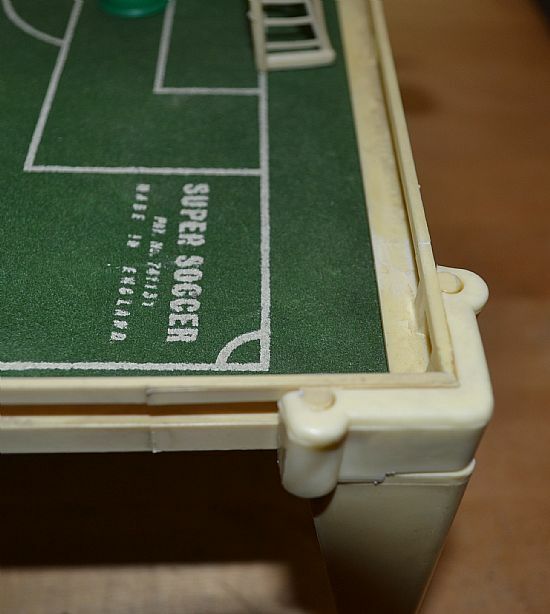 Nice table top size pitch with legs. 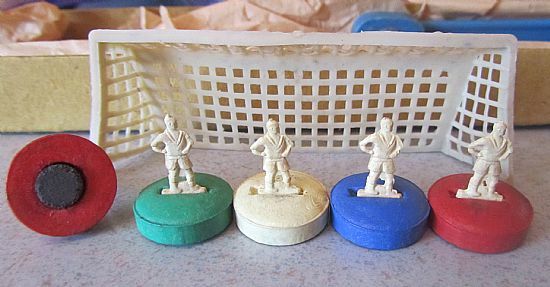 Crudely moulded plastic figures with magnets in the bases. The unseen engine room of the game. 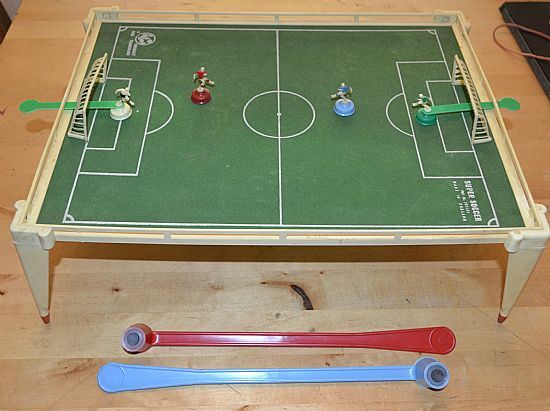 Figures moved by magnetic poles under the pitch. Does it get any more exciting than this? The full eleven aside blue team. Superb. Cracking full team, ropey painting! 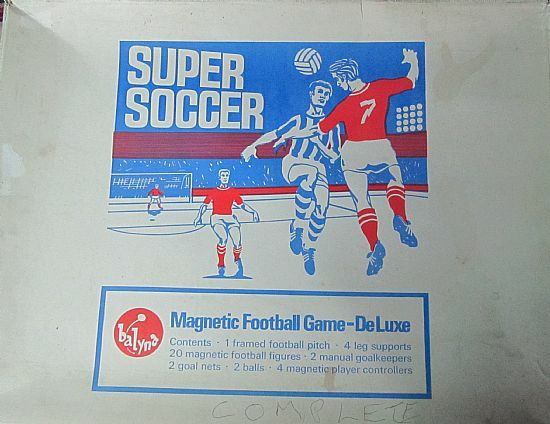 Two goals, two rods, ball, assorted players in box that accompanies the pitch. 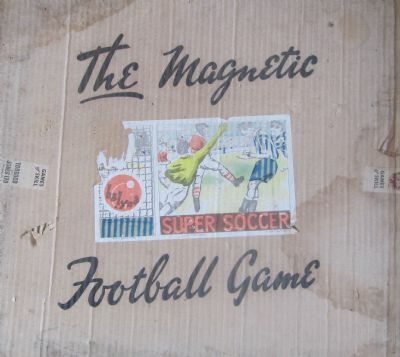 The very early magnetic type players were only around for a very short time.